PSE (Precision Shooting Equipment) Archery is one of the leading compound bow manufacturers in the world. The company was set up in Illinois in 1971 and since then secured a number of patents for compound bow’s innovations. 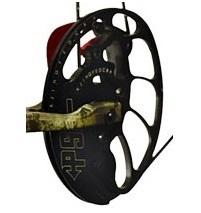 Among other manufacturers PSE Archery boast the longest tradition in compound bow production. Stinger is by far the most popular bow ever made by PSE. Due to its low price tag combined with quality of build this model is often recommended for beginners. More experienced users talk about it with undisguised affection. Recently PSE decided to redesigned and modernize its famous bow. The works on Stinger began many years ago, every couple of months some slight change was introduced making it better and better. The latest version of PSE Stinger 3G is the product of all that effort and time spent on finding and eliminating even the slightest imperfections. All the knowledge and experience that PSE gained developing its high-end models was focused on producing this affordable bow. It has been also substantially upgraded. In fact the upgrades are so extensive that if you compare the parameters of Stinger with bows from much higher price-range you will find no differences. Introduction of such model into the market had a tremendous effect – most archery shops admit that PSE Stinger 3G is their top seller and scores highest reviews. riser based on PSE X-Force model. The fist impression is always important and with Stinger it was nothing but positive. All the parts are made of quality materials which not only makes this bow to be a top performer but also look aesthetically. It comes in three different finish versions: Mossy Oak Break-Up Infinty (greenish camouflage), Skullworks Camo (black and white camouflage) and Black (black riser with Skullworks Camo limbs). The Skullworks Camo version is a default one and also the most popular one. All finishes are of high quality, do not fade over time and are durable even in harsh conditions during hunting sessions. The setup is very intuitive and user friendly, even if you have no experience with compound bows (the manual is very comprehensive). 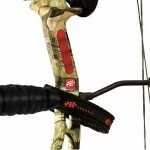 You will be able to make all the necessary adjustments yourself to perfectly tune the bow to your needs. Latest version of Stinger 3G features completely redesigned riser made of machined 6061 T6 aluminum, which provides exceptional structural stability. By being very light it also enables to keep the overall weight of the rig to minimum. As it was mentioned before Stinger was developed on the basis of best concepts that have been tested and proved to be successful. The design of the riser that after few tweaks is used in new Stinger 3G can be found in one of the previous models of PSE bows, namely X-Force. The riser also features a new grip called Vibracheck which is made of special rubber. The shape is ergonomic and nicely fit in the hand. Additionally the material used in the grip was designed to dampen vibrations. At its ends the riser features firm and durable aluminium limb pockets. They hold the limbs in such a way that keeps them almost parallel to each other. Thanks to parallel limb design vibrations and after-shot kick are eliminated. The limbs are kept pre-stressed at rest which gives optimal performance. The limbs bolts in this bow are exceptionally long which gives a huge room for adjustment if needed. unlike most bows that offer 10 pounds adjustments range, this model offers 30 pounds! If you wish you can instantly reduce the draw weight of the bow by 30 pounds using adjustment screws. No special equipment or knowledge is needed. Stinger 3G is a single cam bow featuring a HP cam system. It produces a smooth draw and is easily adjustable. The draw length can be easily adjusted using Allen key. Adjustment is available in a range between 25 and 30 inches in half inch increments. The smooth draw cycle of Stinger is nothing but amazing. This is probably the single feature of this rig that most archers and bow hunters keep in their memory even after many years and many other bows. Stinger 3G is already a legend. There is no archer or bow hunter that have not heard of this bow and this is probably the best recommendation to get this bow. In numerous surveys PSE Stinger 3G was voted the best compound bow for beginners. The forgiveness that comes with the 7 ¾ brace height and an exceptionally smooth draw cycle provided my the single cam makes it very accurate even in untrained hands. You do not have to worry to outgrow Stinger in the near future. 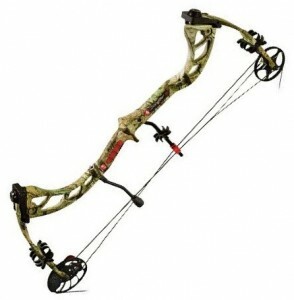 The quality of the design, its performance, extras coming with the bow and unmatched price make this bow also a very popular choice among more advanced users that are short on cash. New Stinger 3G has been notably praised by numerous users for the minimal level of vibrations and noise. As all the previous generations of this great compound bow the overall quality is comparable only with much higher priced bows. Similarly as its predecessors Stinger 3G scores very high in numerous customer and professional reviews. With its renowned accuracy and forgiveness the PSE Stinger is definitely the best dollar-for-dollar deal you can find on the market. Low level of noise and vibration. String. 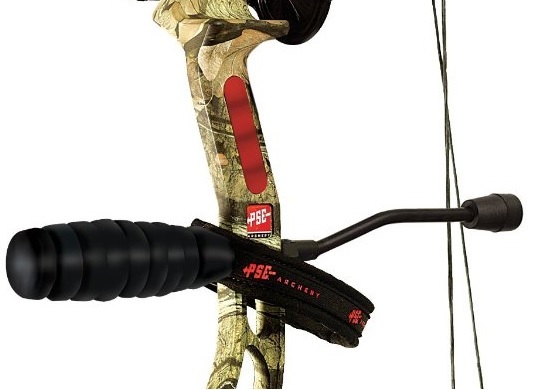 Some users noticed peep sight rotation and decided to upgrade the bowstring after some time.